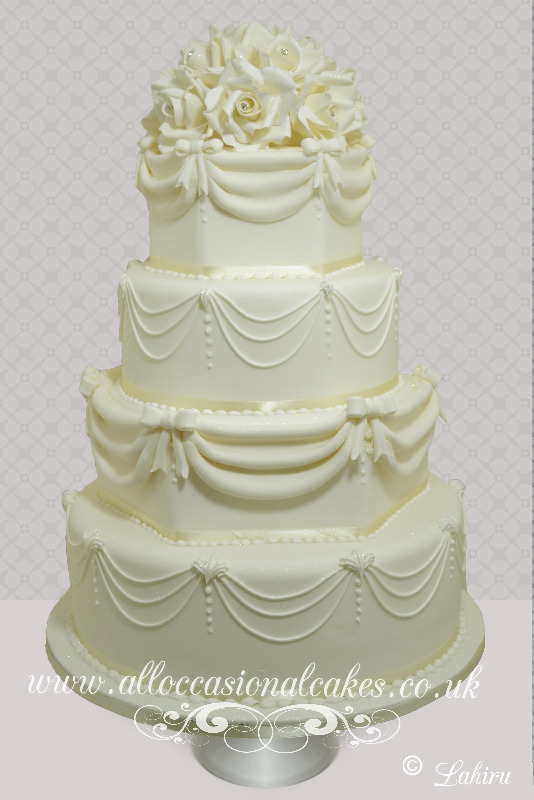 A pretty combination of sugar draped and sugar piping. Top tier decorated with elegant ivory roses accompanied with diamonds and hand crafted to perfection. We can perfectly colour co-ordinate to match your wedding theme.